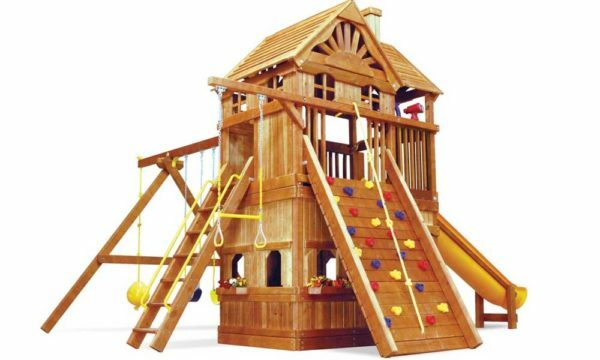 Picnic tables and sand boxes are unique to the Clubhouse Series. 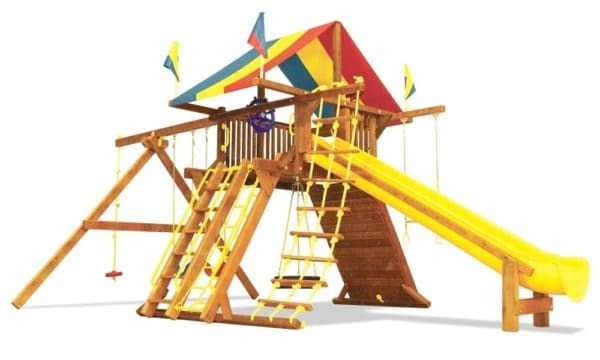 These Swing Sets can brighten up any backyard, even the White House added a little color to their’s with a Rainbow Swing Set! 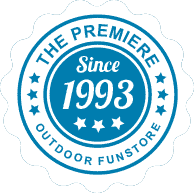 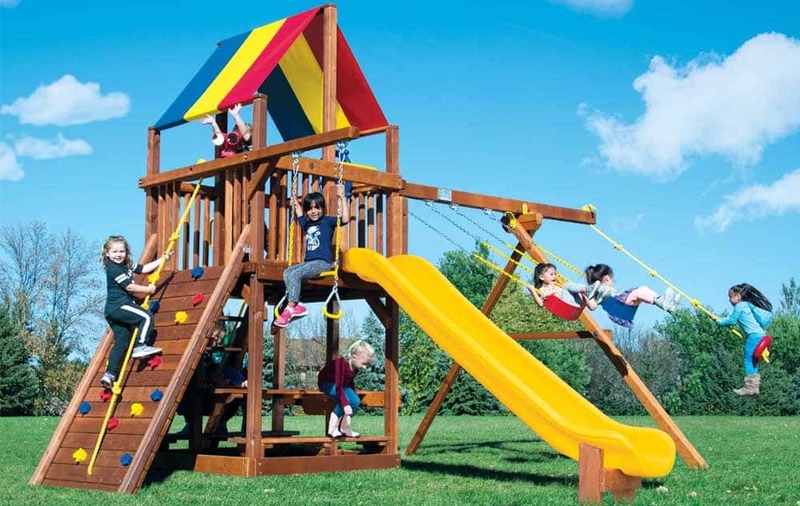 Rainbow Play Systems brand builds long lasting, quality Swing Sets using commercial grade hardware and hinges. 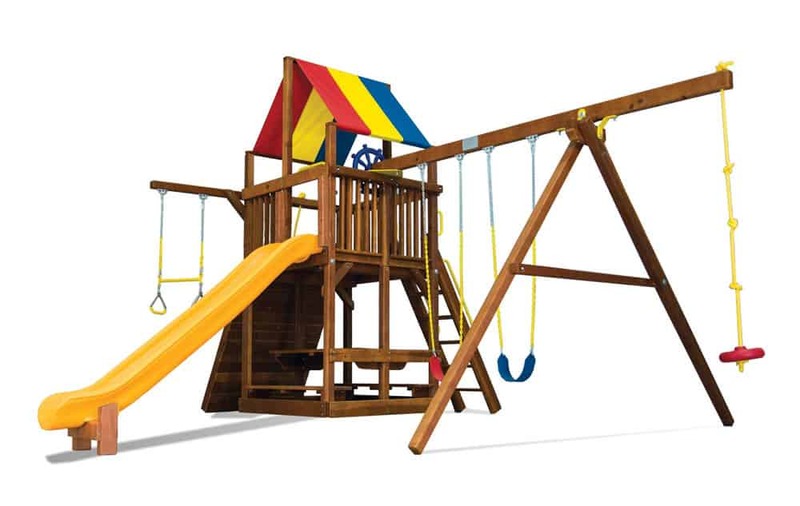 The visually striking canopy is unmissable and brings family enjoyment to every home. 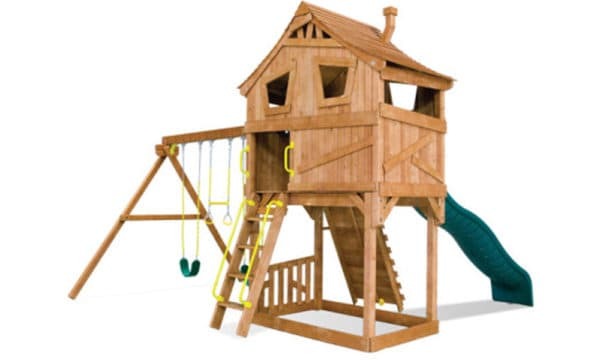 You can be involved in the building process from the blueprints to the construction. 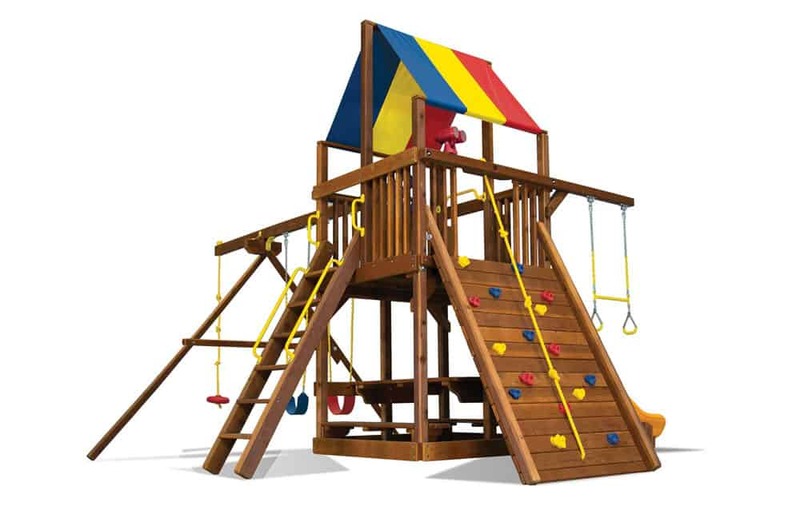 The Rainbow Turbo Feature Clubhouse PKG II has a variety of accessories initiating imagination! 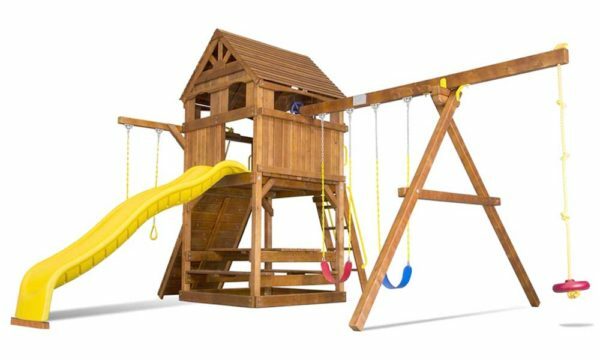 Every Swing comes with a Lifetime Warranty because we trust the craftsmanship and we trust the high grade caliber materials used to build your perfect palace!